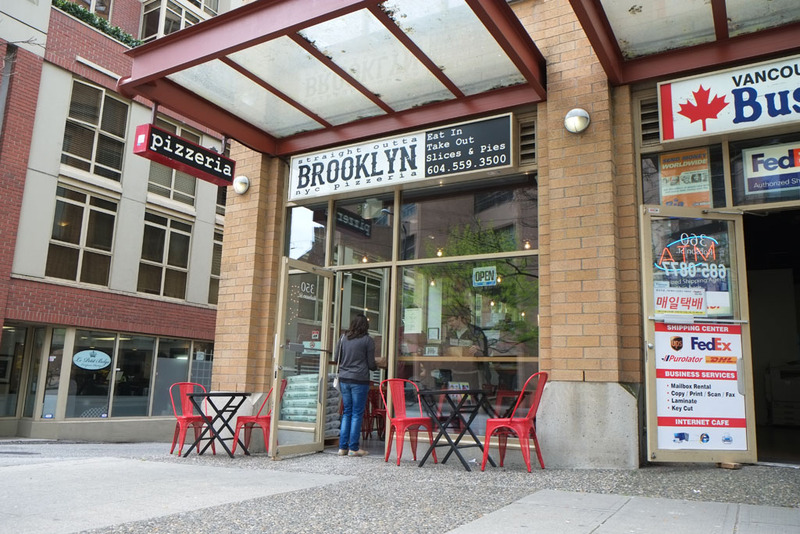 Getting my biases out of the way: my reference point for the most awesome pizza I’ve ever eaten is Apizza Scholls in Portland (massive trip report here, tons of pictures, just let it load in the background if you’re interested in my Portland trip megapost). 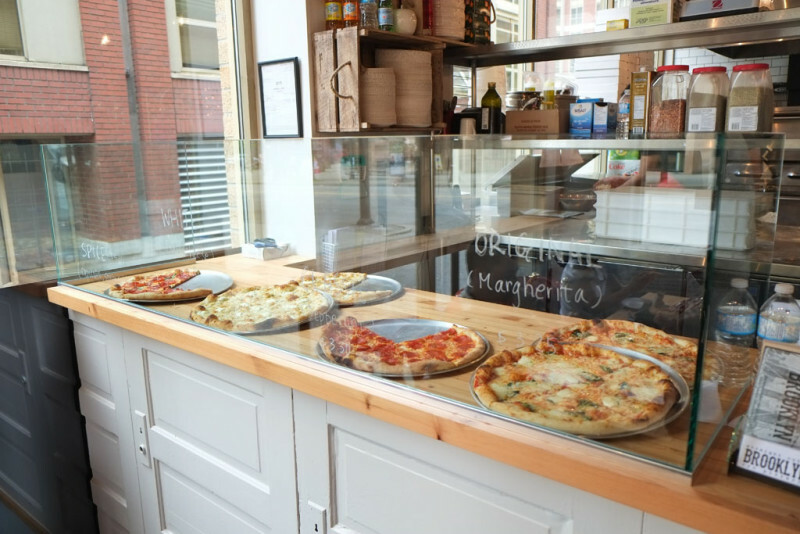 They do what’s technically known as New Haven-style pizza, a close cousin to New York-style pizza. They refuse to put too many toppings on their pizza (I believe it’s 3 max). The crust is thin, crispy & chewy and just CRACKLES in your mouth. Great sauce that you can actually taste, and the quality toppings shine through. The words “balance” and “amazement” come to mind. 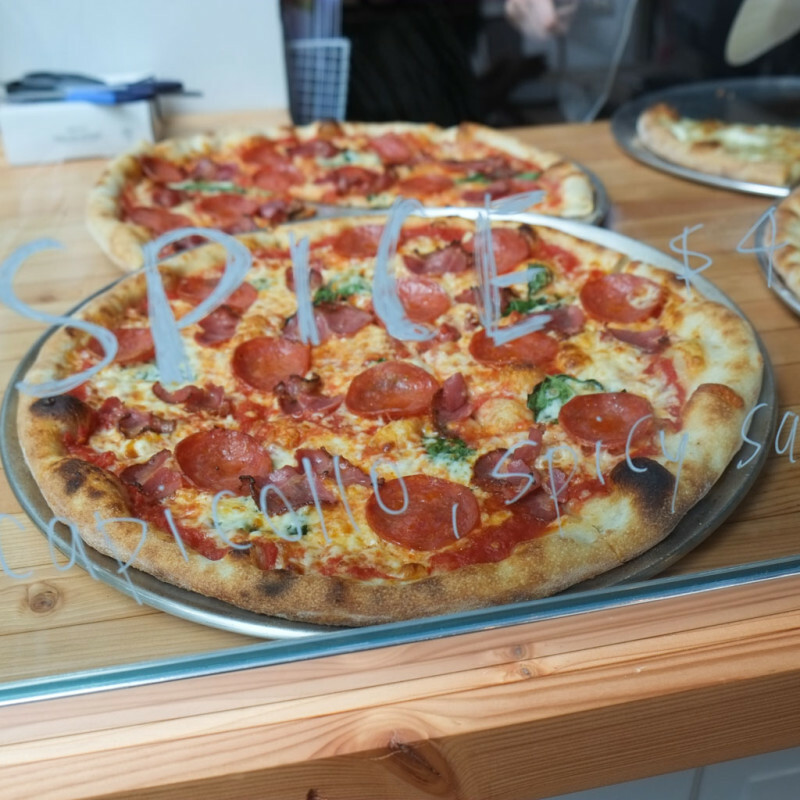 Another fave would be Community Pizzeria, who do great Neapolitan-style pizza in a mobile food truck. They’re at Brassneck Brewery on Friday nights, which makes them even more awesome. As you can tell, I favour thin crust and minimal toppings. 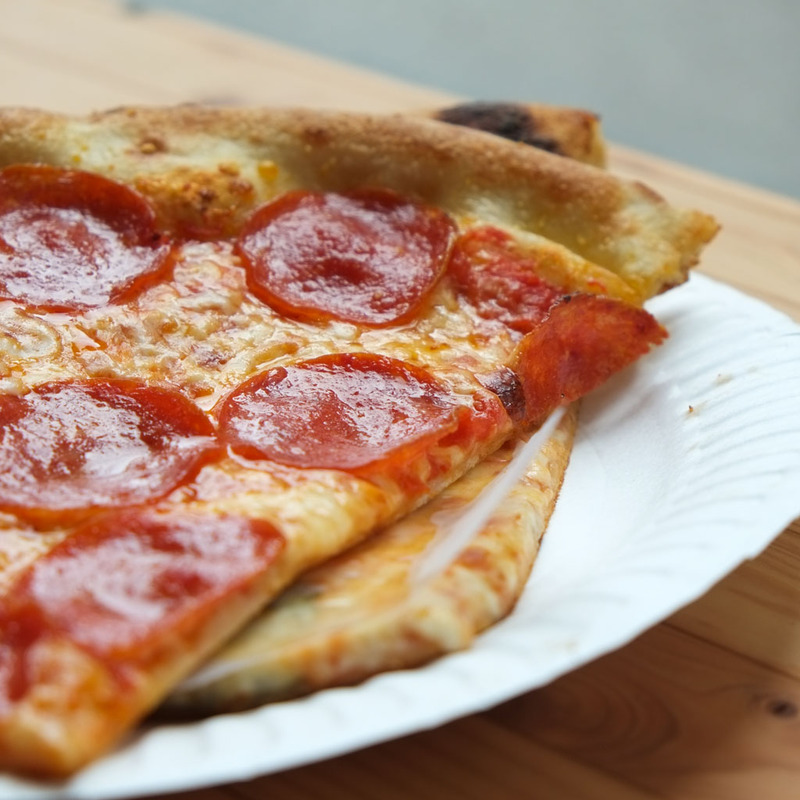 But I want all the elements to express themselves fully in my mouth, from crust to sauce, to cheese and toppings. So with that out of the way, here’s the photos! Ramen Jinya is just down the street to the left. SOB are on Instagram and Twitter, of course. Other than the pizza, their sign is the most Instagrammed image so far. Also…red brick! BTW, SOB are owned by the same people that own Ragazzi and Via Tevere! It’s cramped in there. But it’s a slice place, so turnaround for seats is fairly fast. Really friendly service! They don’t make you feel like you don’t deserve to eat here. 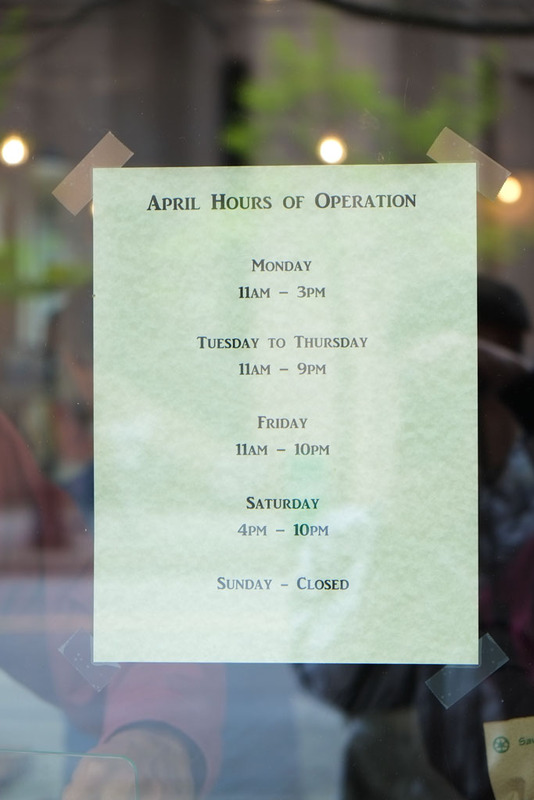 The glass serves dual-function of signage and sneeze-guard. The pizzas are 14″, and slices are 1/4 of the pie. They also sell whole pizzas. Full menu is also available on their website. 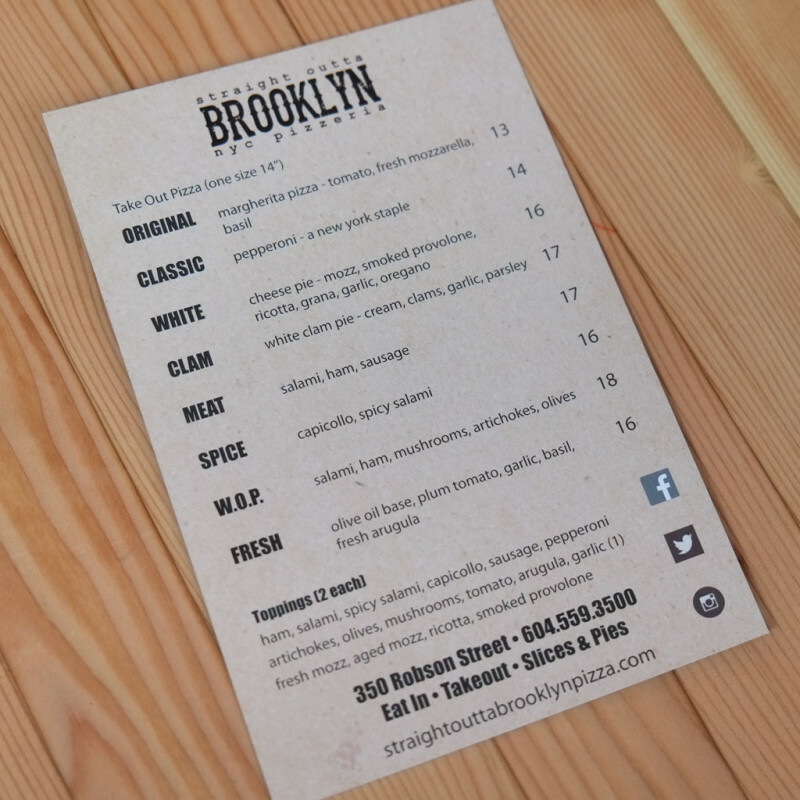 NOTE: Clam pizza is only available in whole pies, not slices. I assume it’s the same deal with their W.O.P. (lol) pizza. Another side note: there’s a place in Calgary called Without Papers, which they jokingly shorten to “WOP”. You can read another of my extensive Calgary trip reports here. I love how they’ve kept the toppings simple. 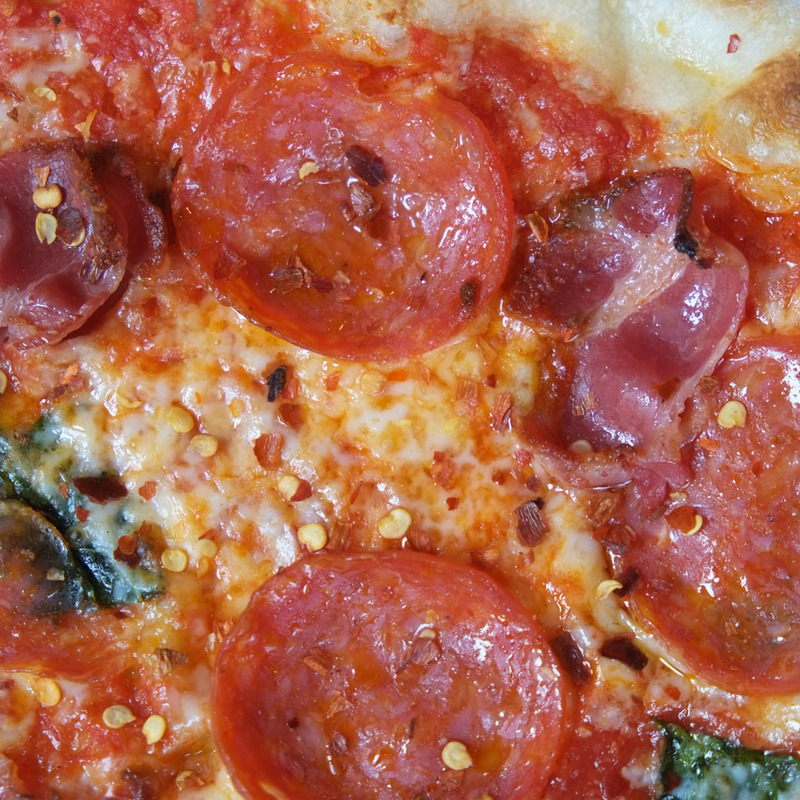 The most “loaded” pizza is the W.O.P..
Spice slice with capicollo/capocollo/cappicola/capicolla/coppa and spicy salami. They also threw basil on there (unlisted ingredient). I put dried chili flakes on it. Decent light char on the bottom. Good integrity. 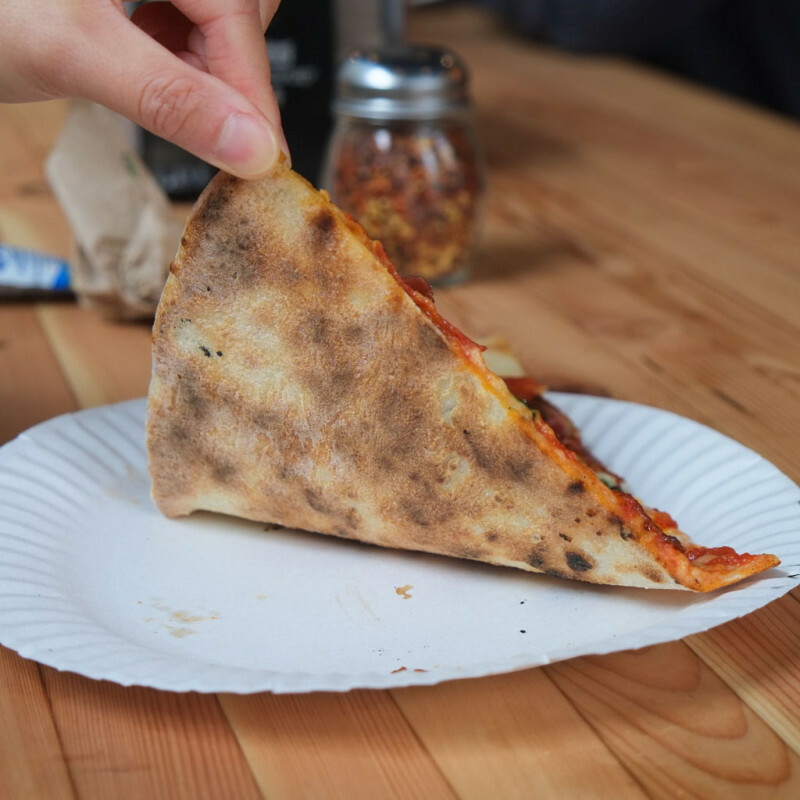 When you order multiple slices, they stack them onto one plate with waxed paper in-between. 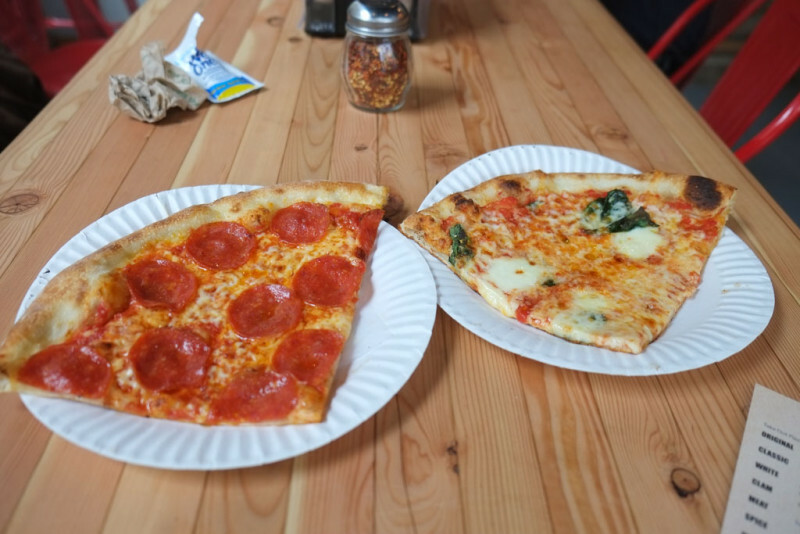 Classic (pepperoni) on the left and Original (margherita) on the right. Both slices were approximately the same size, although it doesn’t look that way in the photo 😛 You ARE getting 1/4 of a pie. 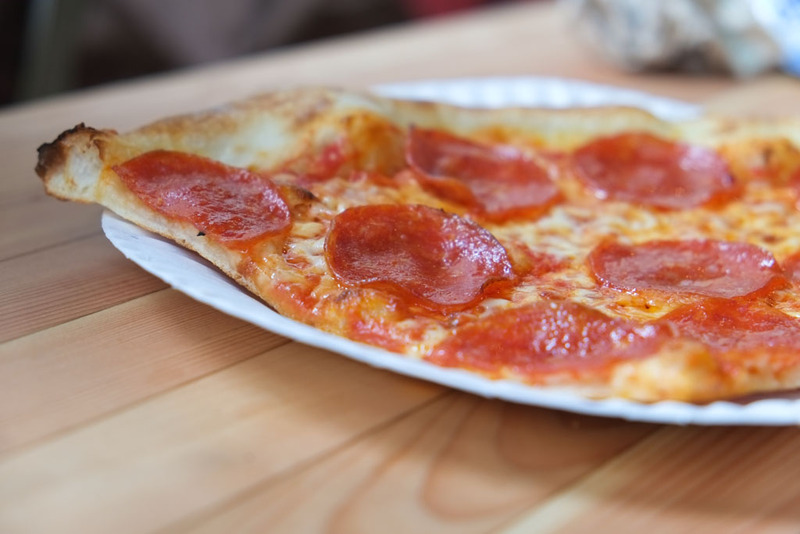 Thin, chewy (in a good way) crust and salty pepperoni in every bite. 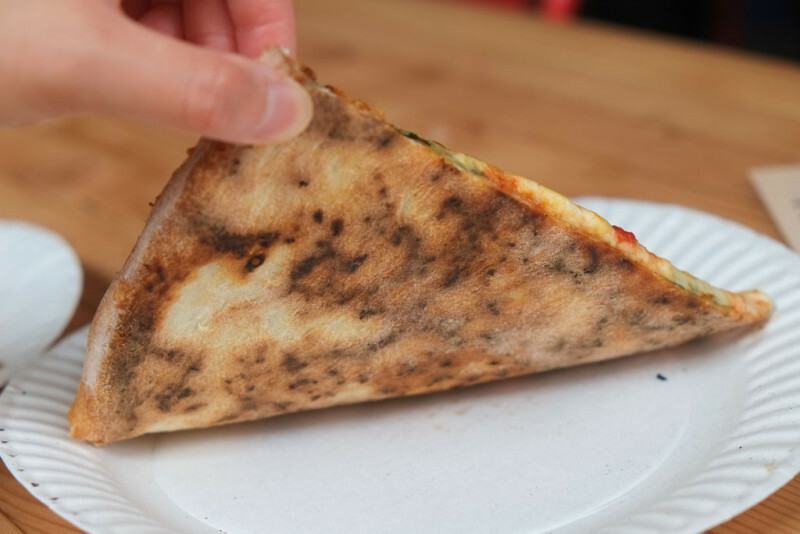 The crust isn’t as thin as Pizzeria Farina, but still thin enough to do the NY-style folding thing as you eat. Time to split hairs: the sauce is there but doesn’t speak loud enough for me. Farina’s San Marzano sauce is still the benchmark. 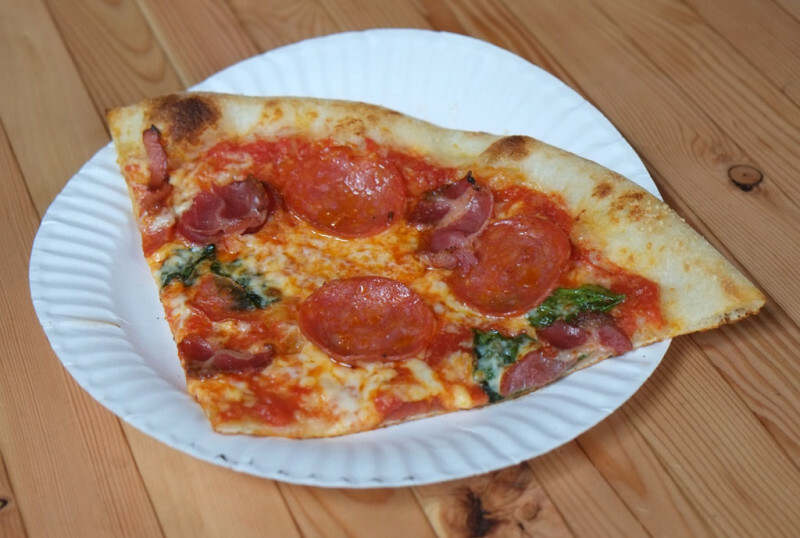 The crust was a little inert, tastewise, but apparently NY-style pizza uses a fast-rise dough, so the dough doesn’t get a chance to develop deeper, complex flavours like Farina’s slow-rise dough does. The crust could also be interpreted as a litte bit “tough”, but more of a speed bump for me rather than a barrier. 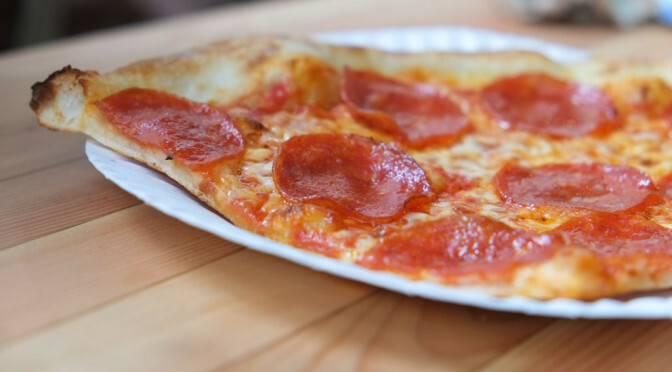 If you’re used to cheap dollar slice (wow, really dating myself here) you’ll be taken aback by the texture of real pizza dough made without tons of oil or whatever to make the dough soft, fluffy and easy to work with. *** But this is all insufferable foodie-type nitpicking. 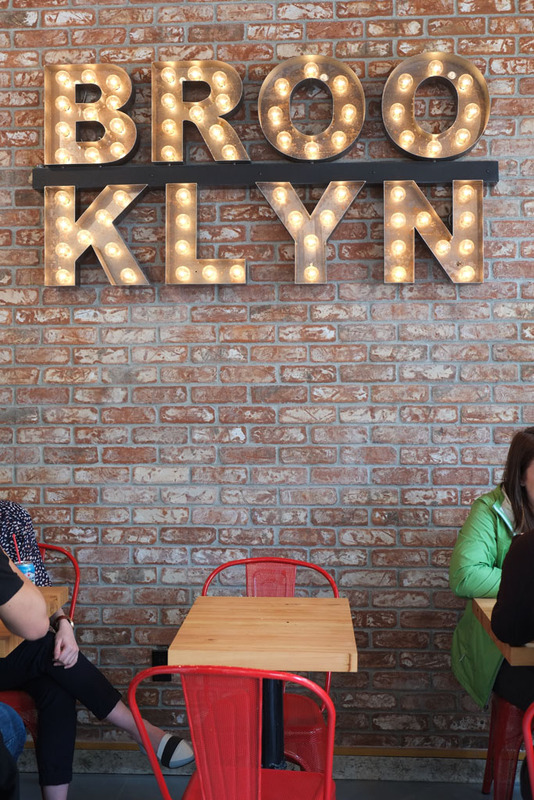 I’d have no problem coming back here, especially to try their New Haven-inspired Clam pie. Underbelly of the Original. Not bad! Next time I might ask them to reheat the slices a bit longer, to maybe get a bit more crispiness on the bottom. 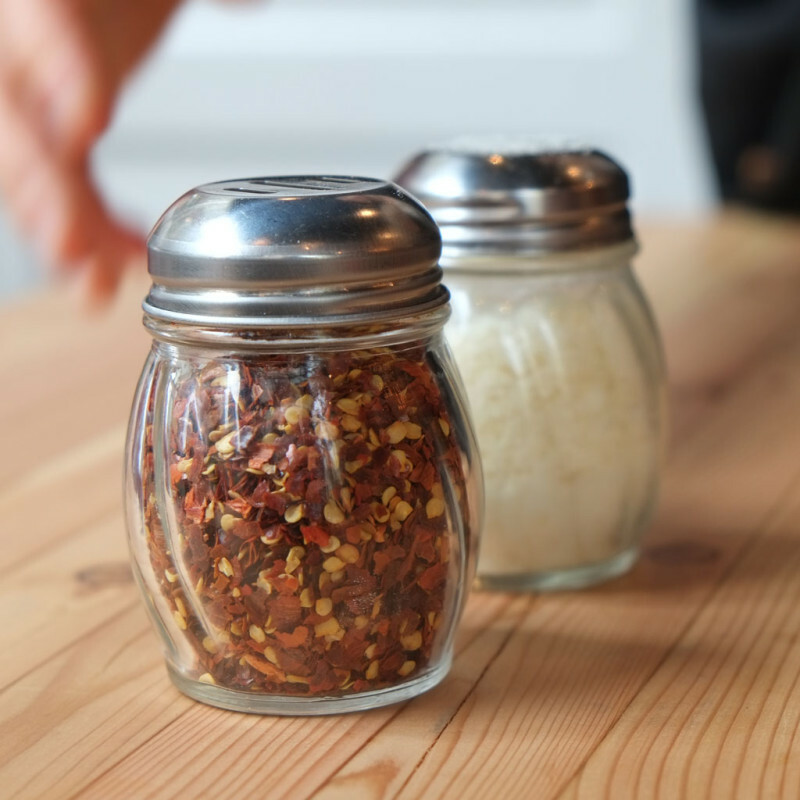 Standard shakers of dried chili flakes and cheese product. Ain’t no way I’m calling that “parmesan”. Some people on Chowhound were wanting shakers of oregano too. I’ve never shaken oregano on my pizza so I dunno if it’d be a good thing or not. Bags of flour stacked near the front door. I believe this is Canadian wheat but possibly milled in the US. Pizzeria Farina also uses Canadian wheat as opposed to Via Tevere’s VPN-mandated Caputo “00” Flour. That said, the Farina crust just tastes better, with a deeper, more flavourful crust. 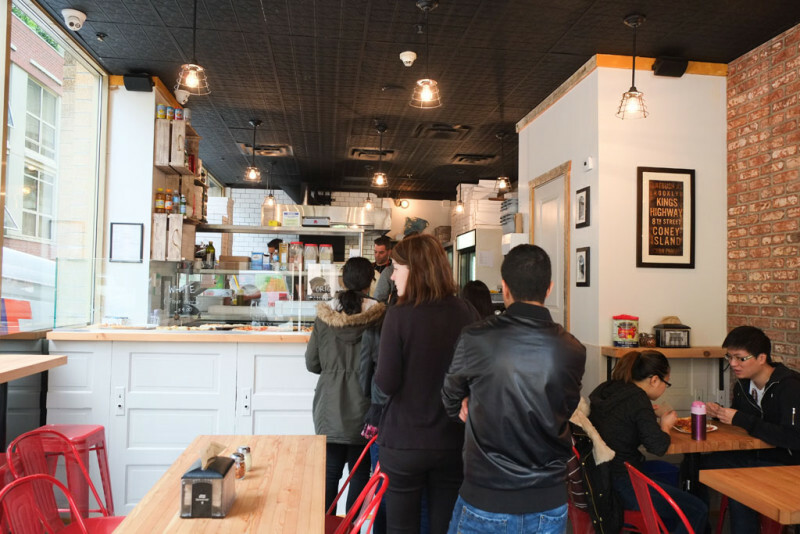 There’s some (debatable) room for improvement, but as it stands, SOB has the best by-the-slice pizza you can get in Vancouver. 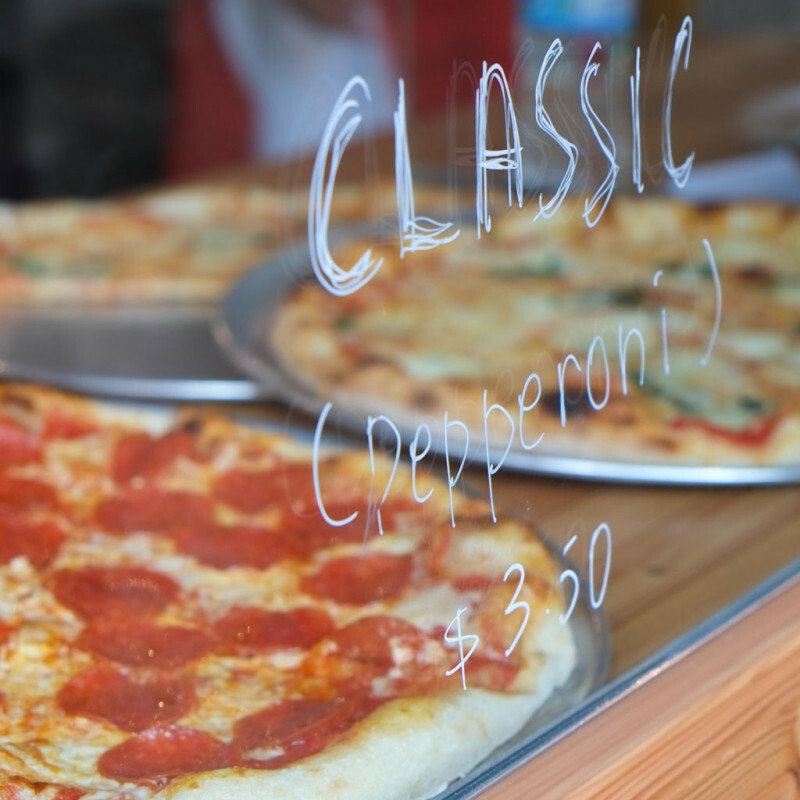 The cost difference over typical slice pizza is worth it. PS. Nat’s New York Pizzeria in Kits hasn’t registered on my radar in YEARS. I don’t care if Joshua Jackson from Dawson’s Creek likes it. 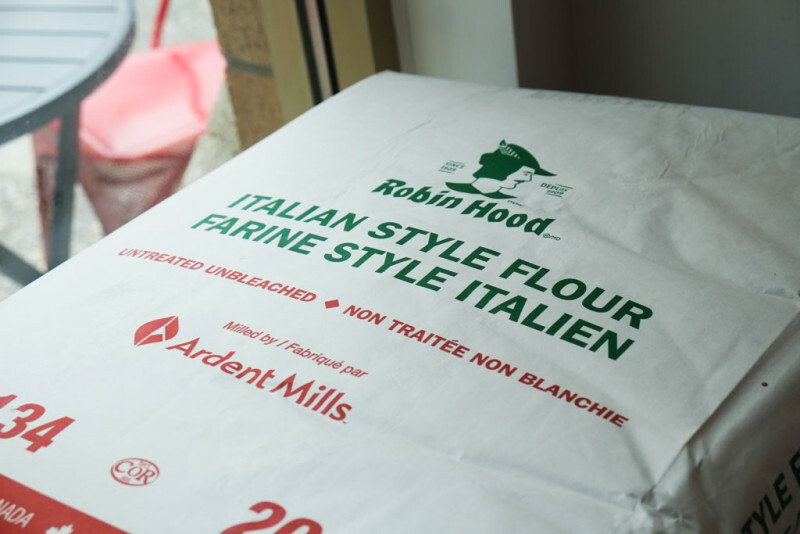 Evidently it’s Ardent Mills’ version of an Italian 00 flour that uses a blend Canadian wheat. According to this post about using different flours for pizza, 00 flour is milled finer (like baby powder texture).